Here at Upstate-Downtown, we’ve been distracted lately by some unruly house guests, namely Irene and Lee. And while we didn’t fare as badly as our neighbors on the west side of the Hudson River, in the Catskills, or to the north, in Vermont, we took a far greater hit than most in New York City, replete with extended power outages, roof leaks, flooded basements, downed trees and general mayhem. But life goes on, and taking a break from drying out our basement a couple of weeks ago, I once again served as a judge at the Hudson Valley Wine and Spirits Competition (2011), which took place at the 10th Annual Hudson Valley Wine and Food Fest at the Dutchess County Fairgrounds in Rhinebeck, NY. The biggest eye-opener of the day probably came out of my panel: our sole “Double Gold” selection (i.e. 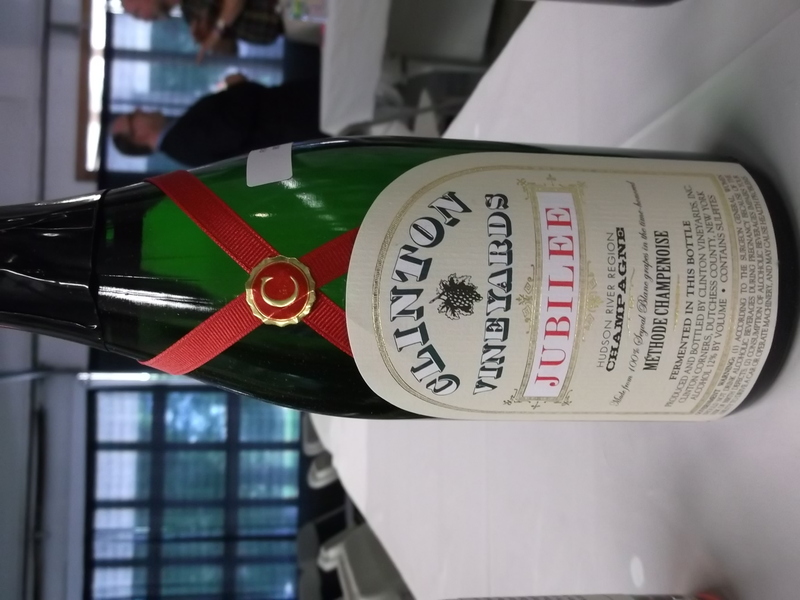 a unanimous Gold Medal choice by panel members) was Clinton Vineyards’ “Jubilee”, a Champagne-method sparking wine made from 100% Seyval Blanc, which had depth, complexity and a persistent, refreshing mousse. One of only three Double Golds in the entire competition, “Jubilee” would certainly stump some aficionados in a blind tasting of (true) Champagnes and quality sparkling wines. And it took honors not only for Best Sparkling, but also Best Overall Hudson Valley Wine (made with Hudson Valley fruit). It’s a nice homage to the late Ben Feder, Clinton Vineyard’s founder/owner, who championed Seyval Blanc, a hardy French-American hybrid, as an excellent grape for the Hudson Valley’s challenging climate. Relative newcomer Bashakill Vineyards (Sullivan County) easily took the Best in Show distinction (and Best in Category – Red Wine) with its Double Gold-winning 2010 Black Bear Cabernet Franc. Cabernet Franc generally does well in New York State’s cool-climate wine regions, and I believe it’s the most viable red vinifera variety overall for the Hudson Valley. Bashakill’s 2010 Black Bear shows just how good NY State Cab Franc can be: concentrated, with good structure, soft tannins, deep briary fruit and length, drinking well now, but with potential to improve in the cellar. For Best White, it came down to two Chardonnays from a strong field. Chardonnay is another stalwart Hudson Valley performer that also showed well the last time the competition was held, in 2009. 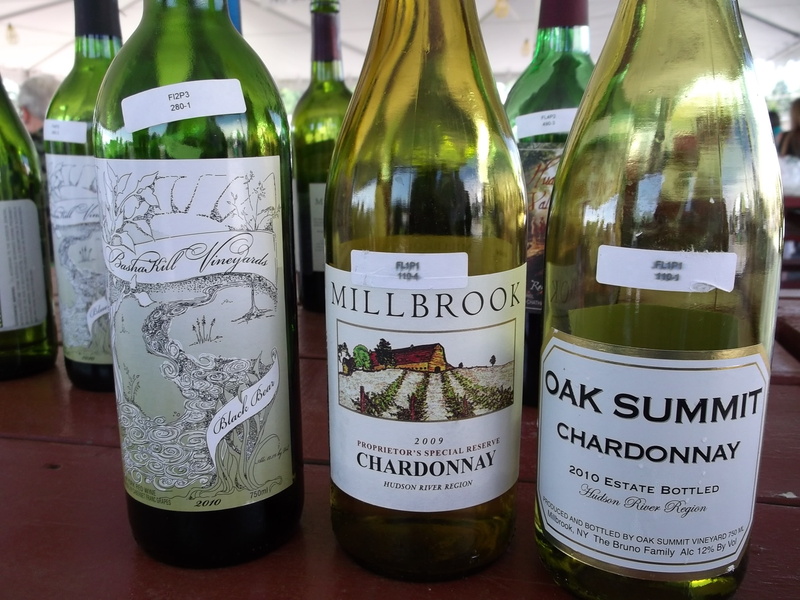 The narrowly winning wine was no stranger — Millbrook Vineyards & Winery’s 2009 Proprietor’s Special Reserve Chardonnay. With ripe yellow fruit and nicely integrated oak nuances of spice and vanilla, it’s a stylish, well-made white. A flagship winery for the Hudson Valley, Millbrook also won the 2011 Winery of the Year award, the first time this distinction has been awarded. The runner-up for Best White, Oak Summit’s 2010 Chardonnay, was a study in contrast: fresh and zippy, with green orchard fruit and no trace of oak. I actually preferred Oak Summit’s version, but both wines deserved their Gold Medals. In a twist, a spirits component was added to this year’s competition, reflecting the rise of micro-distillers in the Valley. 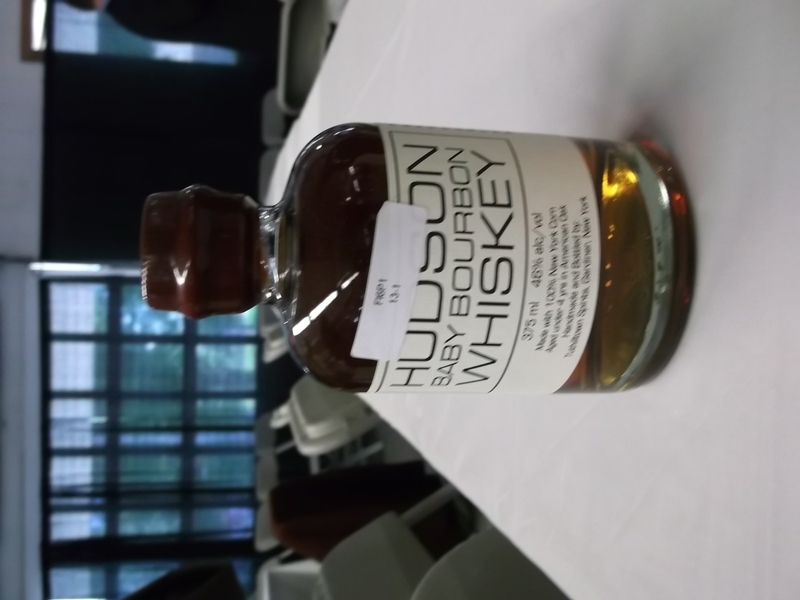 The winner, a familiar sight in many shops for its small, squat bottle, was the other Double Gold winner in the contest: Tuthilltown Spirits Hudson Baby Bourbon. In the 2009 competition, the Pinot Noir category really impressed, but not so much this time around — vintage variation is the coin of the realm in the Hudson Valley. And the red hybrids, like Baco Noir, were also not as strong overall in my view, with a notable exception: Hudson-Chatham’s delicious, medium-bodied and food-friendly Gold medal-winner, the 2008 Chelois. Despite being the oldest wine region in the country, the Hudson Valley is still trying to find itself as a wine region, given the difficult climate and the small (but increasing) number of wine grape growers in the valley. But the top wines from this competition clearly show that quality wines can be produced in the Valley, and they set a high bar for the local wineries. This entry was posted in Hudson Valley, Spirits + Cocktails, Wine and tagged Bashakill Vineyards, Clinton Vineyards, Hudson Valley Wine and Food Fest;, Hudson Valley Wine and Spirits Competition 2011, Hudson-Chatham Winery, Millbrook Vineyards and Winery, Tuthilltown Spirits Hudson Baby Bourbon. Bookmark the permalink.